Players will be able to record their best score on 10 machines. Only one score per machine will be counted. Players may attempt as many games on each machine as desired. Players will be assigned points per machine. Players will be ranked by total points earned during the qualifying round. 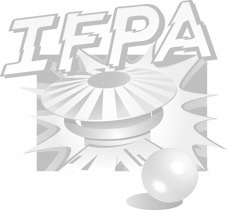 Top 50% (expected Top 8) will participate in a IFPA Group Match play format. Players will playgames with one group earning points (7,5,3,1). After 3 games, the top 2 players advance to the next round. Players eliminated in the same round will be considered tied for the purpose of submitting results.